An incredible package for the facialist who is ready to excel. 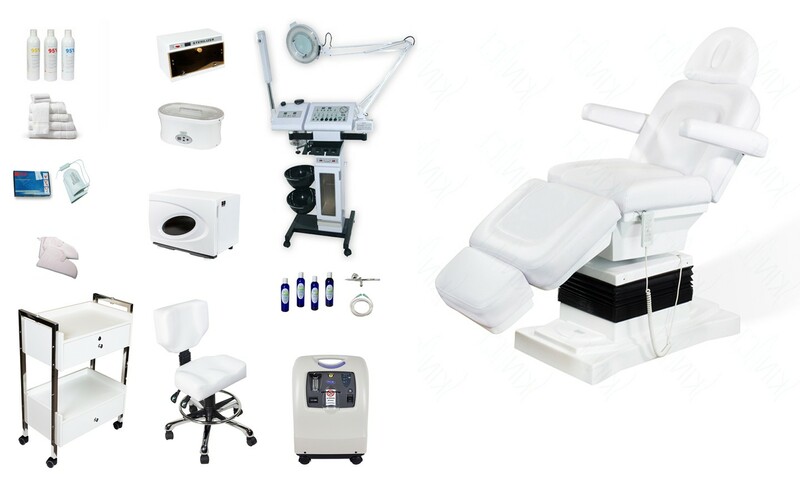 It offers the equipment you need to excel with your facial room - a facial bed, multi-function unit, diamond microdermabrasion machine, oxygen concentrator, sterilizer, double wax warmer, paraffin machine, hot towel cabi, stool, and trolley. Click the individual items to see detail on the products offered in this package. 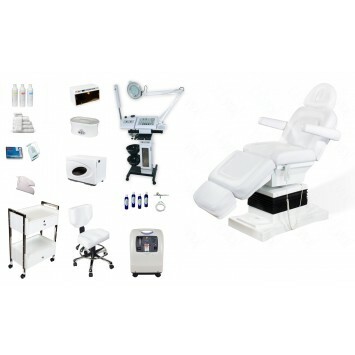 Items Include: 14 Function Unit With Microdermabrasion Oxygent Machine Lifetime Warranty Paraffin Machine Trolley Hydraulic Saddle Stool Sterilizer Fully Automatic 5 Motor Massage Bed Hot Towel Cabinet with UV Double Wax Warmer Due to high demand for multiple order discounts and individuals who are opening their new SPAs & Salons we have put together a number of different packages. Each package is tailored to fit the specific need of each individual, depending on the size of the location, the different types of services that the SPA will be providing and last but not least, your budget. For individual functionality of each unit please refer to the specific products category on the left column menu.